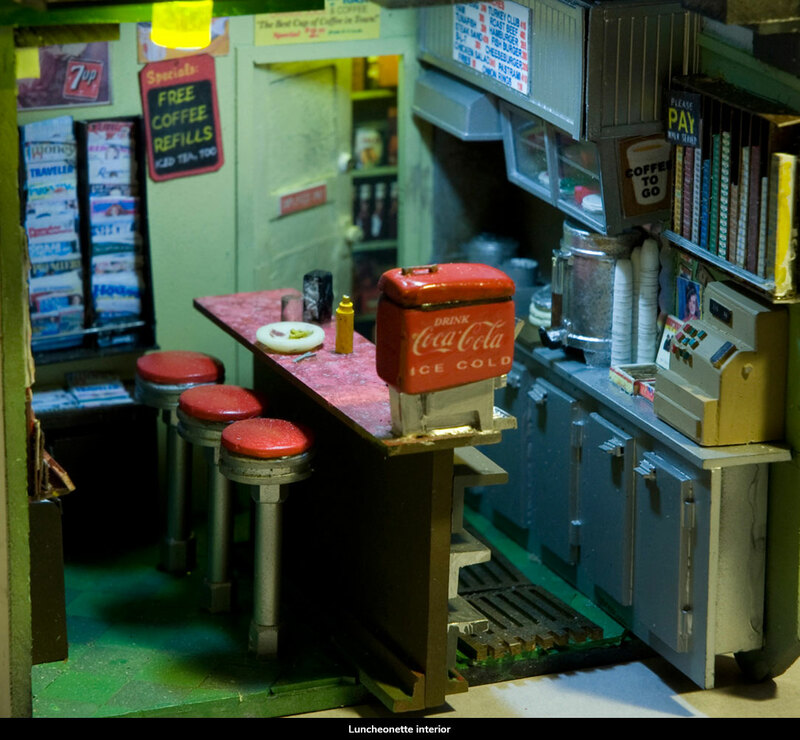 I designed HOPP'S LUNCHEONETTE shortly after I finished building PeepWorld. 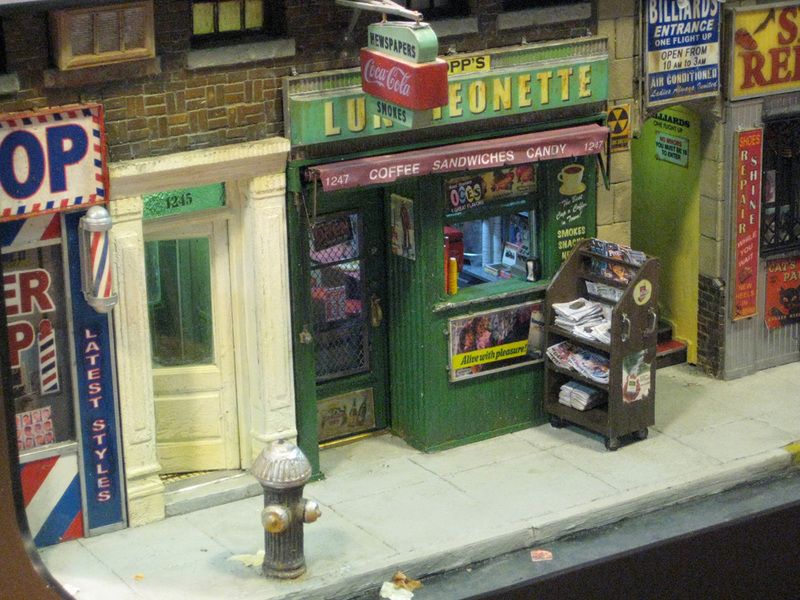 After working on the Times Squaresque environment for a year and a half, I was looking for a ‘kinder, gentler’ subject matter to involve myself with. 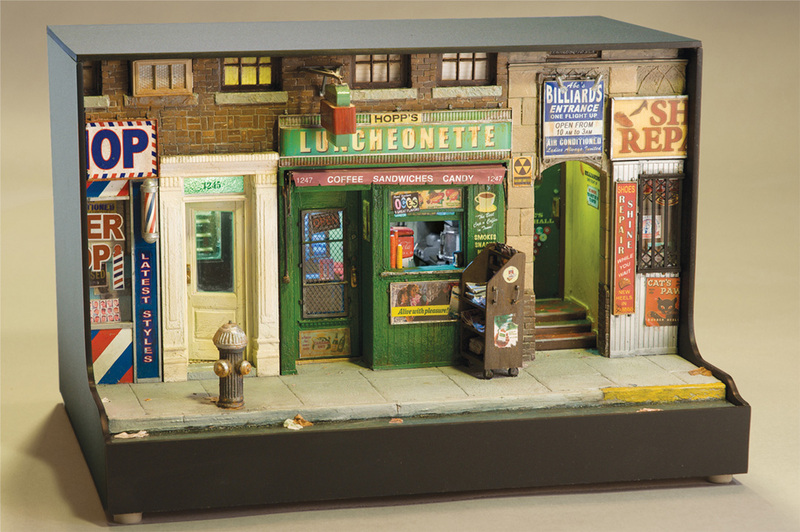 I decided I wanted something that reminded me of growing up on the streets of Brooklyn, in a much different era. After I got the rough design made, I realized how much it reminded me of Edward Hopper’s painting Early Sunday Morning (1930), both in it’s subject matter and it’s mood. 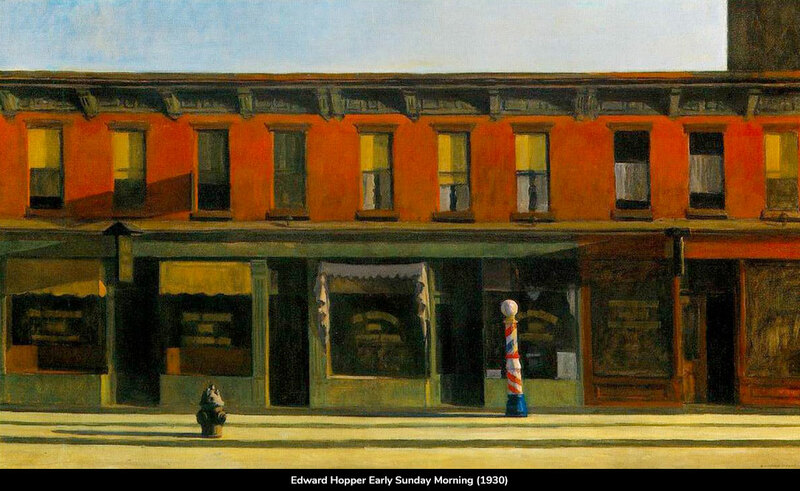 I have always felt a strong connection to Hopper’s work.